Features writing about fathers from the child's perspective; the relationships between fathers and mothers and husbands and wives; husbands as fathers; and writing by self-defined fathers about fathering and mothering (including lesbian or transexual parents who identify as fathers). Please keep these upcoming special issues in mind when submitting. See our Submissions page for guidelines. We are currently seeking guest posts for our After Page One series: 300- to 500-word guest posts that motivate, inspire, and encourage other mama writers about getting started, returning to a writing project, integrating writing with motherhood, reading, or having a positive attitude. Send submissions to LMblogcontact (at) literarymama (dot) com in the text of an email, and include the words "After Page One" in the subject line. Visit our submissions page for guidelines. Literary Mama seeks photography submissions to pair with the posts on our site. We are looking for photos that offer unique perspectives on motherhood, and we like photos that are artful, versus those that appear staged, and that encourage us to reflect. Creative Nonfiction's Adaptation contest is now open. We're looking for original essays illuminating the ways in which the need to keep up with a rapidly-changing world drives the work of scientists, designers, thinkers, innovators, farmers, soldiers, medical professionals, teachers, and others and affects the lives of prisoners, patients, refugees, students, travelers, and other citizens. All pieces considered for Summer 2017 Creative Nonfiction magazine issue. Click here for contest guidelines. Airlie Press seeks submissions for its poetry contest. Submissions are open to all poets writing in English, regardless of place of residence. A selection will be made by a team of Airlie Press editors. The winner will be notified in the fall of 2017 and will receive a $1000 cash award. The winning collection will be published in October 2018 in an initial print run of at least 500 copies, with a custom bookmark to accompany the book. Click here for details and to submit. Ginosko Literary Journal announces their flash fiction contest for unpublished works. Submit up to 2 pieces, 800 words maximum each piece. Awarded work will be published on Ginosko Literary Journal website and in forthcoming issues. Click here for details and to submit. The Randall Jarrell Poetry Competition is now open for submissions. We accept one-poem submissions. The contest awards the winner $200 and publication in storySouth. Submit your work here. Ploughshares Emerging Writer's Contest recognizes work by an emerging writer in each of three genres: fiction, nonfiction, and poetry. One winner in each genre per year will receive $1,000 and publication in the literary journal. We consider writers “emerging” if they have not published or self-published a book. Guidelines here. Able Muse Press announces their 2017 contest for the Able Muse Write Prize for poetry and flash fiction. Winners will receive $500 and publication in Able Muse Journal. Finalists in each category will also be considered for publication. Find contest details here. Creative Nonfiction's Dangerous Creations: Real life Frankenstein stories contest is now open. We’re looking for true stories that explore humans’ efforts to control and redirect nature, the evolving relationships between humanity and science/technology, and contemporary interpretations of monstrosity. All essays will be considered for publication in the winter 2018 issue of Creative Nonfiction Magazine issue. Guidelines available here. Able Muse Press seeks entries for their 2017 contest for the Able Muse Book Award for Poetry. Winners receive $1,000 plus publication of the winning manuscript. Finalists will also be considered for publication. Find details and guidelines here. Austin International Poetry Festival seeks submissions for an upcoming poetry anthology published every April to coincide with the festival. The title of the anthology is di-vêrsé-city. Click here for submission guidelines and to submit work. MacKenzie Publishing is accepting fiction submissions for its second anthology, stories for 18+, titled TWO EYES OPEN (horror, suspense, thriller, mystery, etc.). 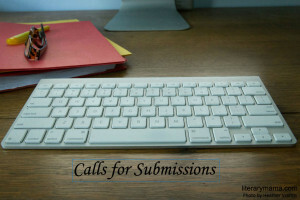 Details and submission guidelines available here. Baobab Press and the University of Nevada, Reno MFA Program in Creative Writing are partnering to publish This Side of the Divide, an anthology of short fiction exploring the United States West. This exciting project speaks to the West’s newness, vastness, sense of territoriality and transience, spanning from untouched wilderness to hyper-urban settings. Visit the submission page for more details. Sixteen Rivers Press invites Northern California authors to submit book-length poetry manuscripts to our non-profit, poetry collective. One or two manuscripts will be selected for publication. For further guidelines, visit our website. The Crawl Space Journal is an online journal for YA audiences. We seek visual artwork and photography within the realm of magical realism, fabulism, and fantasy. The upcoming spring issue is set to release on the Ides of March. Some themes included, and thus open for artistic exploration are: death, the convergence of nature and magic, decay and renewal, mythology, and betrayal. Visit the submittable page for details. Razor Literary Magazine seeks submissions for its Spring 2017 issue. Razor is a new-ish online multimedia literary magazine publishing literature and art, and exploring the creative process. We publish fiction, poetry, essays, memoirs, slam poetry, comix, artwork, photography, you name it. In our unique Before the Razor series, we ask all published contributors to reveal the creative process of their work. Submit here. The Matador Review is accepting submissions for our Spring 2017 publication. We publish poetry, fiction, flash fiction, and creative non-fiction as well as many forms of visual art. We call ourselves an "alternative" magazine; that is to say: our purpose is to promote work that is thought-provoking and unconventional. We want the controversial and the radical, the unhinged and the bizarre; we want the obsessive, the compulsive, the pervasive, the combative, and the seductive. Click here for submission guidelines. Superstition Review seeks submissions for issue 19, publishing May 1st. Our editors are reviewing submissions in Art, Fiction, Nonfiction, and Poetry. Visit the submissions page for details. TINGE Magazine, Temple University's online literary journal, is seeking submissions of fiction, poetry, and nonfiction. The submission period for the next issue is open now until March 1, 2017. Please go to the submission guidelines page for more information. Subprimal Poetry Art seeks submissions for our next issue, to be published in late March. We pay for poetry, flash fiction, essays, and art work. Submission guidelines here. Compose: A Journal of Simply Good Writing is reading for its Spring issue. They publish work by both emerging and established writers and accept fiction, poetry, creative nonfiction, articles on the craft of writing—both practical and inspirational, interviews with established writers, literary agents, editors, etc., excerpts from traditionally published works, photography and artwork. Detailed submission guidelines can be found here. HerStories Project is looking for the kind of wring that moves us, amazes us, and makes us wish that we had written it ourselves. As always, we to highlight the best of women's voices and show the uniqueness and commonalities of women's experiences, We are continuing with our monthly themes - October's is fear and November's is gratitude. Please visit our site for submissions guidelines. Ink In Thirds wants your poetry (up to 3 poems, no longer than 30 lines each), prose (300 words max), and photography (sent directly to submissions@inkinthirds.com). Submission details here.